HOW CAN WE OFFER OUR SERVICES ON A COST-FREE BASIS? HOW DO WE MAKE MONEY WHEN WE WORK WITH GUESTS ON A COMPLIMENTARY BASIS? YOU ARE ALWAYS CHARGED FOR A TRAVEL CONSULTANT’S SERVICES EVEN WHEN YOU DO NOT USE A TRAVEL CONSULTANT! Here is how it works in the nation’s second-largest industry. Let’s use the cruise sector as an example. Every sailing has a built-in profit in its pricing matrix. the price of a stateroom. The amount of profit is based on “on-Board Spend” statistics – in other words, how much will be earned on your spending aboard the ship combined with the built-in pricing mark-up. The profit each consumer produces varies from line to line but on a higher-end ship that margin is somewhere between 8-10%. That is a healthy profit. 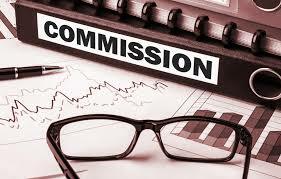 Built into the “Cost” of doing business is the commission paid to the travel adviser who brought the line the business. It appears in the “expense” side of the ledger. Those commissions average between 10-16% of the total cost of your cruise, or tour, or hotel etc. But suppose you don’t book through a travel consultant – suppose you see the ads and go right to the cruise line’s web site or call the 800 Number. You are now just where these corporations want you – working with their call center staff. They may be in Mumbai or Miami but the chances are that you will never know. Unbiased evaluation of the product you are considering along with competitive options. 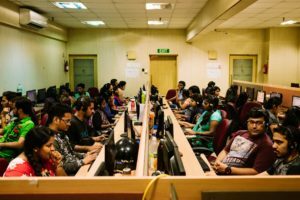 The call center in Mumbai or Miami is staffed by commission-based sales staff whose only goal is to get you to place a deposit directly with them. Discussion of the various non-cruise ways the destination can be enjoyed. Hearing both the pros and cons of the product. What is the down-side of the cruise you are considering versus competing ships and itineraries? Advocacy when something goes wrong. The clout of a multi-billion dollar collection of top-tier travel firms versus your clout as one, lonely, single booking. Pricing and amenity advantages. When you book direct you receive none of the major consortium benefits. Direct bookings never result in the best price – if they did, no professional consultant would ever represent the product. It is a level playing field but some agencies receive valuable amenities for their clients based on huge volume. What is the best specific insurance policy for your specific needs? The cruise line call center headset can only sell their own. Is the cruise line call center headset capable of creating and planning memorable private shore excursions based on your specific interests? You know the answer. We know that just about 90% of the complaints lodged against cruise lines have to do with air arrangements to and from their ships. Who will objectively place you in the best hands to manage your personal flights? As we go about doing whatever it is that we do, we are continually running into a major disconnect with consumers and suppliers who seem confused about the role of the professional travel consultant. If truth be told, a surprising number of our suppliers don’t really understand how bookings for their products are created in the leisure sector. The business sector is easier to understand. The transactional analysis covers most of the bases in business travel with some measure of customer service in the equation. But arranging business travel is often measured by ease of use and pricing models. Leisure travel is very different, more complex in some ways, and less easily understood. We have a large segment of the leisure industry that mimics the business model of large corporate agencies. This is particularly true in the Online Travel Sector where the largest players produce a heady mix of business travel and leisure travel packaging. The idea of the online giants is to simplify the booking process and the decision process that precedes it. Options can be listed, described, and purchased. Suppliers are also interested in simplifying the booking process and keeping as much as possible in house. How many clients have I had over the years who point out in our initial conversation that “I’ve never used a travel agent before”. It is often stated as a badge of honor. Few of the new clients who come to our firm have any idea as to how the compensation model of the leisure consultant really works. For instance, in an analysis of our 2015 total production last year, we found that 92% of our total bookings were provided on a complimentary basis to the consumer. That means there were no fees of any kind. They got us for free. When we point this out to first-time clients they are often shocked. Of course, I want to shock them. I want them to initiate a discussion of fees. I want them to leave the conversation with a sense of wonder and anger for failing to understand that they could have engaged my services all these years without paying me a dime. I want them to understand that the travel sector routinely charges consumers for personalized and truthful travel counseling that is never provided. Six months ago I developed a relationship with a new client who happened to be an old-school contract attorney in Manhattan. He was quite interested in our conversation and he went so far as to call me back for further discussion. I was planning his vacation in New Zealand but he wanted to ask me some pointed questions about our industry and what services “people like you” provide. He wanted specifics. I explained that “How” was the major topic in the discussion because most of my clients have a sense of where they want to go in the world. There are, as every travel professional and just a small handful of travel writers know, about five or six ways to do a vacation overseas. You can “do it on your own”, renting a car or taking local buses. This is for the lonely, anti-social traveler who thinks he actually knows more than someone who lives there. I wish these clients well. Then there are the package tours that provide a sense of independence while still having the visitor tethered to the basics. A travel dog on a long leash sort of independence. If they arrive in the safety of their hotel room in Quito, will they know what to do next? Will they be able to get around Beijing on their own, can they book their own culinary lessons in Budapest? If they pass my “Can They” test, package tours make sense. One can do an escorted tour almost anywhere these days and some of them are extraordinary. But to enjoy touring you have to actually enjoy the company of others and be willing to give up on some of the notions of youth that encompassed globe-spanning almost exclusively in the company of someone you loved. Group travel is a kind of social Russian-roulette. You can stack the odds in your favor, and a great travel consultant can show you how to do that, but what do you really know about your fellow groupers before you encounter them on vacation? This creates the need for a good deal of introspection as the client must anticipate group dynamics. I have to explain how they work and I have to offer an analysis of the social demographics likely in each scenario. It’s just something the leisure seller needs to know. You can book a hotel or two and rent a car and be free; free from companionship, information, shared experiences, and access to new locations. “How”, I often ask, “will you react to getting lost in a place where you don’t speak the language.”? If the clients tell me that getting lost is exactly what they want to do, I suggest that they do it. I then suggest that they not use an agent. Then there are cruise ships, often the most comfortable way to see a lot in a little bit of time. A hotel that moves about from place to place is extremely efficient because it eliminates the need for internal transportation arrangements, time and effort devoted to dining options, and chore of packing and unpacking. This last is often a game-changer. It is just too much of a hassle for the traveler. The lawyer found this interesting and asked why I had not tried to talk him into seeing New Zealand on a cruise. I threw back some of what he had told me about his interests and his desire to see as much as possible in the two weeks he had for this vacation. I pointed out the number of days at sea on itineraries in this part of the world and the likelihood that he would be spending time in Australia, a country he had previously visited. The conversation then included the possibilities of riverboat or barge travel, culinary tourism, art touring and the advantages of seeing New Zealand by private jet. The “How” consultation takes a while, I pointed out. I heard the lawyer take a deep, satisfying drag on his cigar. “So Richard, what else would you talk about to a client.”? I mentioned air arrangements, pre/post plans, and insurance. 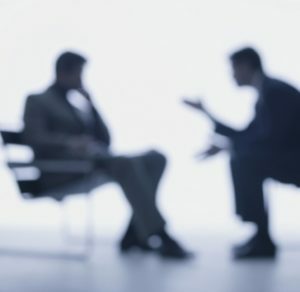 “Do you actually counsel and advise on insurance?”, he asked. Yes, I explained, and I know that it is generally illegal to do so since I am not a registered insurance agent. But I do it anyway. I am not letting my clients travel without the best insurance recommendation for their scenario. “So is this what most travel agents would do as part of their “services”? he wanted to know. “Of course”, I responded, pointing out that this is the difference between a travel consultant or advisor and an agent who simply executes reservation requests. WHAT DOES IT REALLY COST TO USE OUR SERVICES? Churchill & Turen Ltd. does not charge any booking fees in conjunction with the planning of oceangoing cruises, safaris, riverboat cruises or escorted tour programs. Last year, 91% of our transactions involved no booking or planning charges of any kind. Our services were complimentary. First-time guests are asked to complete a New Guest Profile Form (enclosed) and to submit a one-time $100 New Guest Profile Fee. Payments are not charged until we have your authorization and we are mutually comfortable proceeding. We do request a $500 per person Planning Fee when designing a bespoke, custom (non-brochure) travel arrangements worldwide, hand-crafted for you in partnership with our Virtuoso On-Site Offices located in 91 countries. Travel + Leisure Magazine named us one of the Top Ten Bespoke Travel Planners in the World. Pricing is not nearly as complex as the marketing folks who design the ads would have you believe. Churchill & Turen Ltd. works on behalf of our guest to obtain and apply 100% of all applicable discounts to all reservations without Blackout Dates or exceptions. This has been our policy for the past three decades. No games – no phony deals that everyone gets – no false or misleading promises. When you submit your New Guest Profile Form, we will review it carefully and contact you within 24 hours. We will discuss your preferences and get to know one another a bit. We will then begin our research and be back to you as soon as possible with availability and pricing. If we are able to confirm exactly what you are looking for, we will place a hold on the reservation until you make your deposit. We accept all major credit cards and we will call in your deposit to our special VIP Desk contacts. We will then send you confirmation in writing clearly showing all financials, including all available discounts, as well as deposit received. Your consultant will discuss all aspects of your vacation, offer suggestions and craft the trip to meet your exact needs. We will work with you to secure the best possible air arrangements, travel insurance and privately guided bespoke tours in conjunction with your vacation. If you wish to extend your trip, we will make hotel suggestions or prepare a full itinerary with sightseeing tours and transfers. Our guests reap the benefits from access to independent hotel inspection reports for every major hotel in the world. We handle all of the details. You simply look forward to your vacation. Please find our New Guest Profile Form attached. We thank you for your interest in Churchill & Turen Ltd. and our exclusive vacation planning services. Virtuoso is the top-sales entity for virtually every major cruise line, riverboat, and tour operator in the world. That translates into clout. For three of the last four years, we were awarded the honor of “Top Production Per Consultant” in this $26.3 Billion behemoth. More clout. As our guest, we can offer you special amenities, upgrades, and management contacts at the best hotels and resorts throughout the world. You will not be booked through an impersonal computerized system. The hotel’s management will know you are coming. We place our guests in the best possible hands for their specific airline needs without concern for commission or referral fees. We know the top mileage experts, the top flight monitors, the best Business and First Class Air departments. Churchill & Turen Ltd. does not sell Las Vegas, book domestic hotels or issue airline tickets. Travel agents do that. We work exclusively with top-tier hotels, resorts and boutique properties within the Virtuoso Network. We specialize in worldwide vacations and cruises. Our awards and recognition are due, in large part, to our unmatched connections abroad and our 91 On-Site offices throughout the world. Our guests work with some of the nation’s most respected vacation travel planners who coordinate every aspect of your trip. Instead of an “agent”, you have a “team” working on your behalf to craft the world’s best vacations. The vast majority of our new clients come to us by personal referral from existing clients. We also accept new clients who come to us via our rapidly expanding digital presence, particularly our most popular consumer-driven, ad-free, no-hype sites: riverboatratings.com www.traveltruth.com www.cruisetruth.com. We do not accept all applicants. Instead, we are looking for those who share our vision, who appreciate a friendly, caring, professional relationship and who understand it is indeed possible to conduct business in a way that puts people ahead of profits. May we have the privilege of helping you realize your travel dreams?